The morning of the Ryan pick, Obama already had a graphic up from the “truth” team declaring that Ryan was going to raise taxes on 95% of Americans, ban birth control, end Medicare, end green energy, and so on. The only things they left out were shoving Grandma off a cliff in her wheelchair and poisoning us with e.coli. But why go overboard when Mitt Romney can already use cancer to kill people. On the other hand, word on the street is that Biden had to change his pants after the 60 minutes interview with Romney and Ryan. It’s not that Obama is the one that cut $700 billion out of Medicare. It’s not that Obama’s green energy initiatives remind everyone of Solyndra. It’s not that Obama is lying when he says Romney/Ryan would raise taxes on 95% of Americans. It’s not that Most Americans don’t want to force pro-lifers to pay for other people’s $5 birth control that destroys after conception. It’s more that Ryan is smarter and more articulate than the other three on the tickets. Don’t hate me, Palin fans, but Ryan is not a cheerleader. He is a teacher. He turns platitudes into tangible facts that people can hold on to. 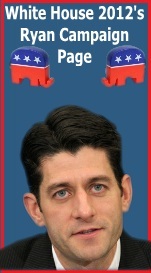 Obama and the Democrats are running around with the mantra that Ryan will get rid of Medicare. But anyone who is paying attention knows that it was Obama who cut popular programs like Medicare advantage. Ryan, on the other hand, wants to give seniors the same options for healthcare that Congress has. He wants to put choices in their hands. The scary thing about Ryan is that he actually is understandable on these points, and he has the credibility. No one has worked more on the US budget and solutions to Medicare, Social Security, and healthcare than Paul Ryan. 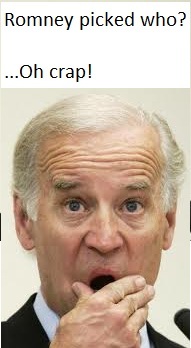 Democrats aren’t scared that Biden is an inarticulate gaffe machine. They have the media on their side. All Biden has to do is coherently string ten words together in a debate without telling someone in a wheelchair to stand up or make an Indian 7/11 joke and the press will announce he exceeded expectations. Democrats are scared because the media can only do so much. Eventually Paul Ryan will be heard, and he speaks a language even independents can understand. Steny Hoyer is leading the charge among Democrat Senators to put the brakes on an extension of the 2% payroll tax cut. After nearly a month of blaming Republicans for the delay in passing the extension and parading around middle class Obama supporters saying how much $40 will change their lives, now Democrats in the Senate look likely to be the ones who kill this extension. Why are Democrats defecting after a deal had been worked out? Because the current payroll extension bill makes new federal employees contribute 3.1% to their own pensions. Apparently we should share sacrifice and have skin in the game unless you are a federal employee. Currently they contribute .8%. The government picks up the rest of the tab and returns on the pension are guaranteed. Meanwhile, many middle class Americans contribute anywhere from 3-10% to their 401k plans with no guaranteed returns and a maximum 3% matching contribution from their employers. However, Democrats have characterized the plan to increase federal employee pension withholding as a budget war on federal employees. Democrats appear to have figured out that they are succeeding in blaming congressional gridlock on Republicans. It also appears that their strategy is to maximize gridlock even if it hurts the middle class. But if Americans figure out why Democrats are holding up this tax cut extension, sentiment could turn pretty quick. Democrats are betting against the intelligence of American voters. Depending on how you read the jobs report, you might think we are well on our way to economic recovery. At least if you read the headlines. Well, we should be. In three short years, this President has increased the debt more than any President in the history of our country combined. Think about it. Think of all that we have accomplished with the last $6.3 trillion in debt. We won two world wars, at various times brought unemployment down to 4.4% (most recently under the economic policies that supposedly got us into this mess), fought five other major wars, four major undeclared conflicts, and assisted in several other wars, gave hundreds of billions back in tax cuts, sent a man to the moon, maintained a shuttle program, bought over half the land in the country, rebuilt after a civil war, implemented civil rights, built socialistic retirement, healthcare and welfare systems, helped produce 5% and higher GDP growth, built every crumbling and non crumbling bridge in the United States today, and created a massive bureaucratic infrastructure covering roads, education, homeland security, and our entire regulatory system. 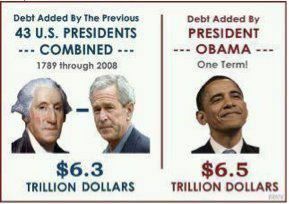 So what has Obama done with $6.5 trillion in debt? He has brought 5.7% unemployment down to 8.3%. Oops, I meant up to 10% and then down to 8.3%. We have managed to get GDP just over 2% for a fleeting couple quarters. We did continue two major conflicts which accounts for almost a trillion of Obama’s $6.5 trillion in debt. But he didn’t do anything to stop the conflicts, and in fact started another one in Libya. A lot of that money went in to funding failed green energy projects, such as Solyndra, which were owned by Obama’s supporters. A lot of money went towards bailing out Wall Street and making the United States a shareholder in failed companies like Citigroup, GM and Chrysler. One of Obama’s large debt contributions was in the form of extended unemployment benefits to make the victims of his economic policies comfortable enough to not complain. This year when he runs on a platform of how he cut taxes, be assured that no member of the media will ask him about the taxes he has forced states to collect to fund their own broke unemployment compensation funds, and pay interest on federal loans of unemployment funds, all of which has been passed on to business owners of every size. The amazing thing is that in his term so far, Obama has spent the equivalent of more than one full year of United States private sector GDP. Nearly half of that has been in the form of debt. Stop and think about that for a minute. And yet, with more debt than every other President combined, Obama is ecstatic with an 8.3% unemployment rate? There is something seriously wrong with this. But it gets worse. There is unemployment and real unemployment. What’s the difference? The 8.3% represents only people who are still looking for a job. If you counted the same number of people who were looking for a job in 2007, the unemployment rate would be at 10.3% and that hasn’t changed since 2009. Ezra Klein at the Washington Post notes this disturbing trend which seems to show little variance in the unemployment rate when you consider people who have stopped working. That means that with $6.5 trillion in new debt, more than all other Presidents combined, Obama hasn’t managed to increase job growth, he has just managed to increase the number of discouraged workers who are willing to settle for his extended unemployment welfare program. In fact, although Obama will be running on the myth of jobs saved and created, in actuality there are 2.4 million fewer people working today than there were when Obama signed the stimulus in 2009. The number of people who have jobs, according to the Bureau of Labor Statistics, is down to 139 million from 141 million in 2009. For those keeping score, it was 127 million in 2001. Do the math. Mitt Romney should take notice. 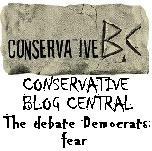 The Cain/Gingrich debate is EXACTLY what Conservatives are looking for. It is something today’s liberals and Republican posers simply won’t do. The two candidates from Georgia sat down with no time limits, no moderators, and no attacks on each other, they spent an hour and a half laying bold, smart, outside the box proposals on the table. They complemented one another and tossed questions to each other that built each other up. It wasn’t about me versus you. There was no mud, no dirty politics. It was pure and simple ideas and a clear demonstration why these two candidates deserve every Conservative’s consideration. If Mitt Romney is smart, he will be begging to be part of the next debate, because his fiscal conservative, establishment support is not going to win him this primary by itself. At the beginning of the debate, Cain and Gingrich stood side by side and joked about what the 2012 ticket might look like. Actually, that’s not such a bad idea. I got done watching the debate feeling much better about the GOP field this year. Cain has been boxed in by his 999 plan in previous recent debates. In this debate be broke out and showed that he is a far more complex and intelligent candidate. He finally had a chance to explain his Social Security private option. 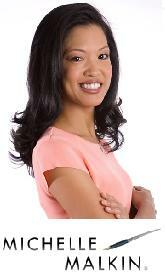 Their mutual respect and support helped lend Cain additional credibility. Newt has been stellar in uncomfortable media run debates. He soared even more in this debate. Newt oozes leadership, and even in this debate was in charge. 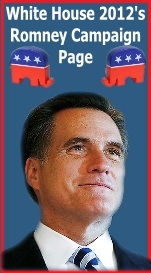 It would be interesting to see if Newt would still rule the roost with Romney at the table as well. At any rate, to the extent that this debate is replayed and seen by more Americans, Newt’s star will continue rise. This debate highlighted Newt’s intelligence and communication skills. Hopefully we will see more of these type of debates, and hopefully many more people will watch them. And if the GOP wants to win in 2012, it would be great to see if Obama would step up and give this format a shot. 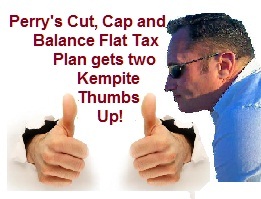 Perry’s Cut, Cap and Balance Flat Tax Plan is a Winner But Will it Make Him a Winner? In advance of his announcement of a flat tax proposal that would be the most dramatic tax reform in the nation’s history, Governor Rick Perry penned a summary of his proposal in this mornings Wall Street Journal . Calling his proposal “Cut, Balance and Grow”, Perry hopes to balance the federal budget by 2020 and explains that his plan will abolish the death tax and give taxpayers the option to pay their current income tax rate or a new 20% flat tax that “preserves mortgage interest, charitable and state and local tax exemptions for families earning less than $500,000 annually, and increase the standard deduction to $12,500 for individuals and dependents.” In addition to a 20% personal income tax, the Perry plan will also adopt a lowers the corporate tax rate to 20% and encourage the swift repatriation of nearly $1.4 trillionthat are currently hidden overseas by temporarily lowering the rate to 5.25%. The third part of his flat tax proposal includes what he calls a transition to a “territorial tax system”, that will only tax income earned in the United States. Perry’s plan also calls for the elimination of the tax on Social Security benefits, a change that will supposedly boost the income of 17 million current Social Security recipients. Governor Perry argues that without significant changes, our nations will go the way of Europe and be mired in a longterm debt crisis that will only get worse than the one we are currently experiencing and to help avoid that in addition to his new flat tax reform he attempts to cut, cap and balance federal spending habits by capping federal spending at 18% of our gross domestic product, banning earmarks and future bailouts, and passing a Balanced Budget Amendment to the Constitution. Additionally he will freeze federal civilian hiring and salaries until the budget is balanced and enact an immediate moratorium on pending federal regulations while also mandating a full audit of all regulations passed since 2008 to determine their need, impact and effect on job creation. In what is a direct nod to his need to shore up those voters who are fearful about Perry’s past remarks about Social Security being a Ponzi scheme and as such, something which he would seek to eliminate, Perry’s plan touches entitle reforms, an issue which needs to be addressed and which Perry’s plan does not address enough. His proposal merely declares that he will preserve benefits for current and near-term Social Security beneficiaries, by permanently prohibiting “politicians from raiding” the Social Security trust fund. That part of his plan is the most politically shallow aspect of his proposal. While he addresses that issue under the category of entitlements, he does not really address all of the entitlement reforms that are burdening the budget now and will bust it in the future. It is also worth mentioning that it is nearly, if not totally impossible for a President to vouch for the permanent inability of Congress to “raid” any fund. President’s come and go. The mentality that relies on political expediency among Congress lasts forever. In general, Perry’s Cut, Cap, and Balance plan is one of the most comprehensive and promising plans to come down the pike in decades. One of the most, but the not only one. Others have proposed similiar flat tax based plans and one of the major differences between those other plans and Perry’s plan is that at 20%, Rick Perry sets his flat tax at a rate significanlty higher than most all others. That high 20% rate is probably the least attractive aspect of Perry’s plan. Insofar as reform goes, it is much more solid than the light on detail, 9-9-9, hybridized flat tax proposal of Herman Cain and when it comes to the issue of reform, Perry’s proposal outshines even Ronald Reagan’s, Jack Kemp inspired, lower taxation, supply side economics plan of the 80’s. That plan simply adjusted the existing tax code and while it was in no way insignificant, Perry’s plan admits that the tax code is not worth tinkering with and needs to be scrapped and replaced by something that will allow America to be competitive in the modern global economy. In a previous post I indicated that if Perry proposes a good flat tax plan and can market it properly and exploit the promise that exists in a flat tax from a politically strategic point of view, than he can reestablish himself as a frontrunner, or at least within reasonable striking distance of such a status. Now that the relative details of his plan are out, I can honestly say that despite my belief that his 20% rate is too high, if he can build his campaign around this plan and make it a focal point of the overall Republican nomination contest, than Rick Perry will have many fruitful themes to touch upon and run on. Now is just a matter of developing an effective campaign strategy and organization that can force the other candidates to run around his promising, conservative based economic plan and reforms.